Today is a good day to learn. 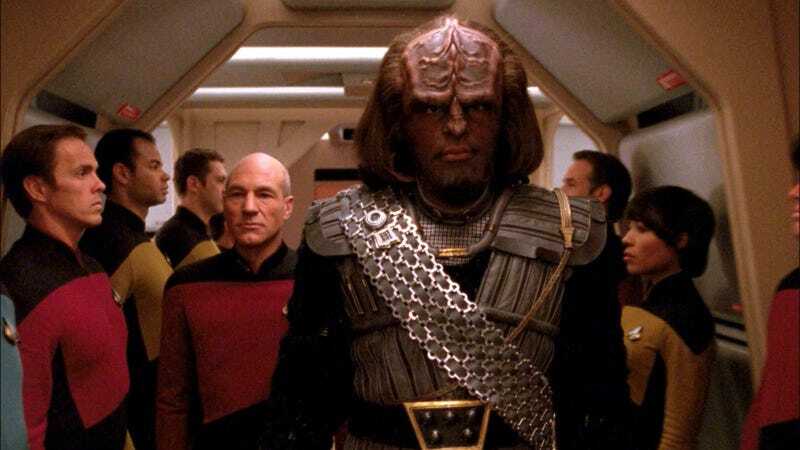 Duolingo has officially launched its Klingon language course, meaning Star Trek fans everywhere can teach themselves how to speak with honor. The highly anticipated language course launched on Duolingo’s website today, under a license agreement with CBS. First announced almost three years ago, the Klingon Duolingo course grew a waitlist of over 170,000 people prior to its release. It’s no surprise, seeing as how much the language’s popularity has grown over the decades. The Klingon language was first created by Mark Okrand for the 1979 Star Trek movie and has since grown into one of the most-commonly spoken constructed languages, rivaling Elvish and High Valyrian (which also has its own Duolingo course). It’s been translated into Shakespeare and the Judeo-Christian Bible—there’s even a Klingon Christmas Carol. Hundreds of thousands of people have learned basic Klingon over the years, but as of 2013, Okrand estimated that only about 100 could speak it fluently. As of now, the course is available on Duolingo’s website and the Android app, with plans to add it to the iOs app in the future. Duolingo is also hosting its first Klingon meetup event in Chicago on March 22 (the link isn’t working quite yet). Language is an experience best shared.